Do you know what kind of insulation you have in your attic? Chances are good that you don’t. In this case, as in many others, ignorance is not bliss. What you don’t know could be hurting you – in the wallet, that is. If you don’t have the right kind of insulation in your attic, you could be paying a lot more money than you need to heat and cool your home. Arizona experiences some extreme temperature changes throughout the year, ranging from very cold and even snowy weather during the winter months in some parts of the state to blazing summer days that have triple-digit temperatures. Those extremes in the weather make it very hard on your heating and cooling unit to keep your house at a consistent temperature. When your home is naturally at a more stable temperature, your HVAC unit doesn’t have to work as hard. Ideally, you would only need to increase or decrease the temperature a bit. When your HVAC unit isn’t working as hard, your home isn’t consuming as much energy, and your electric bill will be much lower. You can make a significant change just by improving the quality of insulation that is in your attic. When your HVAC unit isn’t working well or your home is not well-insulated, you may experience many temperature fluctuations throughout the day. You may get up for an extra blanket while you are watching TV on the couch, and then you may feel like you want to strip down to nothing the next hour. You may constantly fiddle with the thermostat to try to make the home more comfortable. The right attic insulation can help with that. Insulation will keep the internal temperature of the home more consistent, which will not only save you money on energy bills because you aren’t constantly turning the temperature up and down, but will also save you money on things like extra blankets and fans. You won’t need to invest as much in making your space comfortable – it just will be. Without proper insulation, your home loses a lot of heating and cooling that your HVAC system is producing. The air escapes through vents and through thin insulation. Then your system has to keep pumping to keep the temperature where you want it to be. You end up wasting a lot of energy, and you end up spending a lot more money than you have to spend. Installing the right insulation can ensure that the cold or warm air that your HVAC unit produces stays in your home, where you want it. You won’t waste any of your energy consumption, which means that you’ll spend a lot less on your energy bills, and you’ll also be acting as a better steward for the environment. You may not think about the insulation in your attic because you don’t see it every day, but it plays a significant role in the health and comfort of your home. Without the right insulation, you will not be as comfortable in your home, and you will end up paying a lot more in energy costs and in other items to keep yourself warm or cool. Talk with a roofing contractor to inspect the insulation in your attic to determine if it is serving your home well. If not, you should consider making the investment to replace your insulation. You will end up saving a lot of money and heartache in the long run. 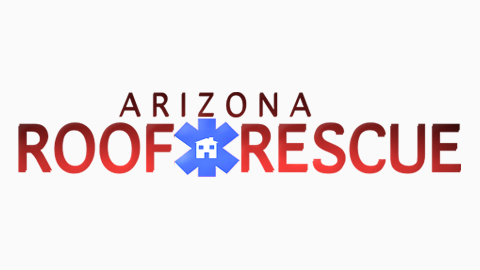 Arizona Roof Rescue can help. Our experienced and licensed roofers can help you make whatever changes are needed to ensure that your roof is as energy-efficient as it can be, including changing out the insulation in your attic. We can also advise you on upgrading other materials, such as roof underlayment or the type of roofing you have, such as shingle or tile. Contact us today to talk with a roofer and to learn more about your options. We’re ready to help you start saving money!